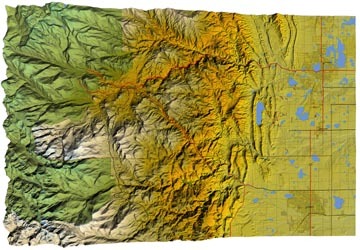 Brenton White Cartography can produce custom maps. Just contact us with your requirements. Estes Park to Loveland, Colorado. Special coloring to denote elevation. 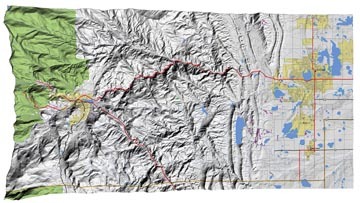 We can generate custom maps of virtually anywhere in the United States and view the landscape at any angle (these two are looking straight down).